"Indulge your spirit of adventure and relish an exclusive and unique slice of nature. Ease your cares away as your gaze falls across turquoise lagoons and pristine barrier reef. Comfortably nestled in the tropical rainforest, marvel at the panoramic view as you sink deeper into the lounger on your private sun deck." "We just took the family to Matava for the Christmas and New Years Vacation. The restort is beautiful, the rooms we spacious and clean. The staff could not have been friendlier or more accommodating. The food was very good and the kitchen went out of it's way ti try and meet special dietary requests.Plenty of activities to keep everyone occupied"
"I recently stayed at Matava with my boyfriend and it was heavenly! We disconnected from the world and enjoyed the game fishing (We caught 3 huge tuna thanks to Joe the amazing guide and captain), ocean kayaking, hiking, and stunning food (Sammy, the gardener, is a genius). Go to Matava to reconnect with yourself and your significant other!" This was our first trip to Fiji. Unfortunately, the weather was not in our favor and it rained every day or night. The water's surface was rather daunting outside of the reef because of the unusually high swells and current, the mantas never showed up on Manta Reef and there were surprisingly fewer fish than we expected. But those are all things that are not controllable. The dive staff was terrific and did their best to make not good conditions into a great experieince nevertheless. Our gear was always ready, the boat crew was always helpful and the dive masters always kept track of where all the divers were. We stayed in Two Tree Bure...47 steps up into the forest and worth every bit of the climb! The room was spacious and the view was spectacular. It was so private that we did not need to close the drapes at night. The entire resort staff was incredible. Every person knew all of our names ( there were 9 of us)from the first hour we arrived. Breakfast (made to order)and lunch were delicious. The soups were amazing ! However,not being a beef eater, I did get a little tired of chicken four nights in a row. Our trip to the waterfall with Athan was a day to remember, since one of my friends and I made it all the way to the second fall, swam in it's pool, climbed the rocks next to it and bonzai-jumped into the water from there. Without his attentive care and help it never would have happened. From the moment we landed til the moment we departed,we were given exceptional care and attention. Having worked through one of the hardest years of my life with considerable business and personal challenges myself and my beautiful wife Tamara decided that is was time to treat ourselves to an extra special experience. We were craving not just rest and relaxation though also looking for adventure in a pristine untainted environ. After having traveled to many other areas of the pacific we had strangely never been to Fiji. 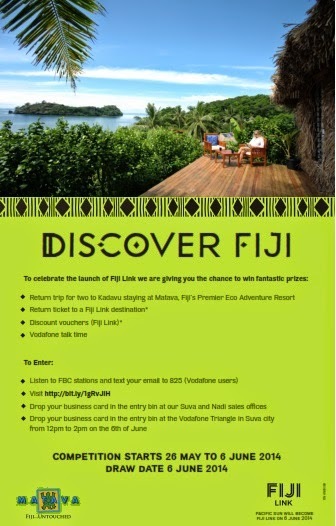 To many tourists thier knowledge of Fiji and it's islands does not extend beyond the heavily touristed areas of Nadi, Pacific Harbour or other typical manufactured experiences that seems to be the preffered option for many guests visiting this South Pacific Paradise. After learning dive in High school many years ago and developing a passion for Marine Ecology and awareness I have always sought to remove ourselves from the typical holiday experience and give us something that makes us feel how lucky we are to live on this earth and interact with it's beauty and Matava was exactly that. Our Kadavu Island experience at the lovely Matava started long before we actually reached the resort with our friendly escorts Yasawa and Wise waiting at Vunisea airport to begin our short trip to the resort. The transfer is by boat which is just fantastic and all part of the adventure. This boat ride only wets your appetite for some of what you will experience over the time of your stay giving you a unique look at the location , size and beauty of the island of which you are now a part of. We reached Matava in the early evening just as the sun had set. The magnifIcent main Bure lay before us lit up by the soft glow of the resorts lighting and a dozen beautiful smiles which were just as warm and inviting. I will never forget the feeling I experienced when I first arrived here. Before I even stepped of the boat onto Matava's jetty we knew we had chosen wisely. You are them ushered my Maggie through to have a meet and greet with the staff while being treated to whatever refreshing beverage your heart desires to start to settle in. The first thing you notice is how attentive the staff are knowing everybody's names, likes dislikes and meal preferences. Any one who had special requests was well catered for and nothing was ever a problem. Not only are the staff here very special so are the other guests. You notice this as soon as you arrive here it's like you have arrived in "Eutopia" the whole mood is vastly different and interactions you will have here remind me of a theme a fiction author would set in a book about perfect human realtions in a perfect world (You will know what I meen when you experience it for yourself) We spent the first half of our holiday in "Lomalagi" Bure down by the water and then the second half high on the hill in the Honeymoon Bure with sweeping views of the reefs. They were both comfortable, appealing and clean. The beds were lovely and better than what you get in just about very hotel anywhere which is nice when you want to sleep as well as you can so you can take full advantage of the activities on offer. Whatever you come here for they will make sure you don't go home dissapointed whatever your into. My wife is now a fully qualified diver thanks to the expertise of Matava Director Richard Akhtar. Richard gave her the confidence and skills necessary to become a safe a relaxed diver. We enjoyed getting to know Richard and appreciate the time he took out of his busy schedule to make sure we were satisfied. Many thanks go to my wonderful dive master Cherie and her husband Glen who made sure our dive experiences were A1 and that we were comfortable every other part of the trip and were just generally great company. Marine operations were all conducted by Big Joe who ran the Mad Fish Dive centre Matava's own dive centre and has exceptional knowledge as a coxswain, fisherman, diver and is a true Master Mariner who gives you the freedom and scope you want as an experienced diver. Joe is combination with his deckhand Lea took us to the best spots at the best times and worked hard to make sure we were always kept comfotable and given the best possible diving experiences. All dives were amazing though swimming with a dozen feeding Manta's doing Barrell rolls is hard to top especially when one decides to lift you with it's enormous wings. Thanks also go to George - George served us with humour and courtesy and is a typical proud Fijian man that values his heritage and shows a spectacular exhibition during his powerful tribal dance moves. Vinaka George. Our private romantic Dinner on our Bure Balcony high in the hills was made extra special by Seta she is attentive though subtle and is a credit to her Father who lives behind the resort with his magnificent Garden. General resort life meals and escursions were all expertly executed by Ta an her team and she always had everyone doing what they needed to to make sure everything was running smoothly. Ta organised a beach picnic on a deserted island with Military precision and turned a beach full of coconuts and driftwood into a beach banquet in half an hour for three boats of divers! We did heaps of dives, walks to the village, waterfalls and kayaking, traditional cooking, kava and ran out of time to do everthing else - That trophy Wahoo will have to wait till next time. The dive operations looked after my gear beautifully it was always washed and stored and waiting for me just where I expected it to be ready for another day. Everything carried on and of the boats for you which i'm not used to though very appreciative of. We were very lucky to have found such a special place in this world and were very disappointed to go. All our expectations of a tropical holday were met by this establishement and we would go back in heartbeat. Thank you to all that made an individual contribution to our satisfaction while at Matava it did not go unnoticed. I'm back home and reflecting on the absolutely wonderful scuba diving trip my buddy, Sherry, and I had April 17-26, 2012. All of my 18 dives were fantastic & unforgettable! Dive master, Alex, has great knowledge of the creatures and their ocean environment, and his care and attention to us was superb. The dive with the manta rays on the other side of the Astrolabe Reef was a wonderful experience. On every dive I was among the world's most beautiful corals...and the colors were amazing! I appreciated also that at my age (72 years) there were no limitations or restrictions imposed. I loved everything about this Matava experience! The resort's eco-environmental commitments, the bure were stayed in, the great food Sita prepared for us, the village visit--and especially the friendly environment with the guests and staff visiting during 'Happy Hour". Thanks, George, for being such a great host! Matava has an excellent team. Miss you all, and wish you continued success. I've travelled much of the world, and this Matava experience will be unforgetable.